Google has officially pulled the covers off the Google Clips, the AI-Driven camera that is aimed to take candid photos and motion pictures all in a self contained package. 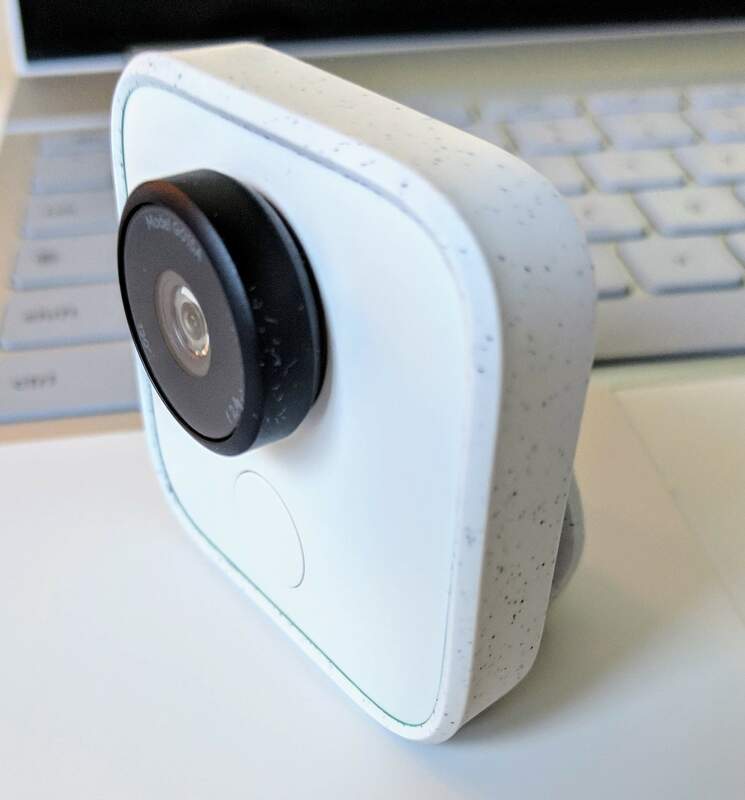 With a 130° viewing angle, and 16GB of storage, the idea behind the camera was to set it up and let it capture random events with children, pets and in home events. The device has Google’s AI built into it so it can recognize faces and and does all of the thinking for you on when to capture and what. Clips is very centric on protection of your data and privacy. Everything is on the device, including the AI, so nothing goes out until you share it. Over the past few weeks I’ve had a loaner Google Clips thanks to Google and it is a mighty impressive little device. Clips itself produces some outstanding photos & videos. Once you have it setup, it gives you about 3 hours of shooting. The Clips app allows you to setup those people that are in your family or friends (Familiar Faces) and the AI in the camera will capture them and identify them. Photos from Clips can be saved as a Motion photo, a video or an Animated GIF. To start capturing, simply turn the ring around the Gorilla Glass 3 protected lens. From that point, it starts capturing. The Clips app with give you suggestions too as far as which clips to save. It is also important to remember that Clips doesn’t require an internet connection to capture. It is all self contained and even if it is offline, it will capture, keep things stored on itself, and you can retrieve them later to keep and share. Clips itself has 16GB of storage and in the app, has a live preview feature. Within the app, you will get motion photos, videos or GIFs at 15fps which you can preview. A swipe the left saves those videos to your Google Photos account while a swipe to the right deletes them. 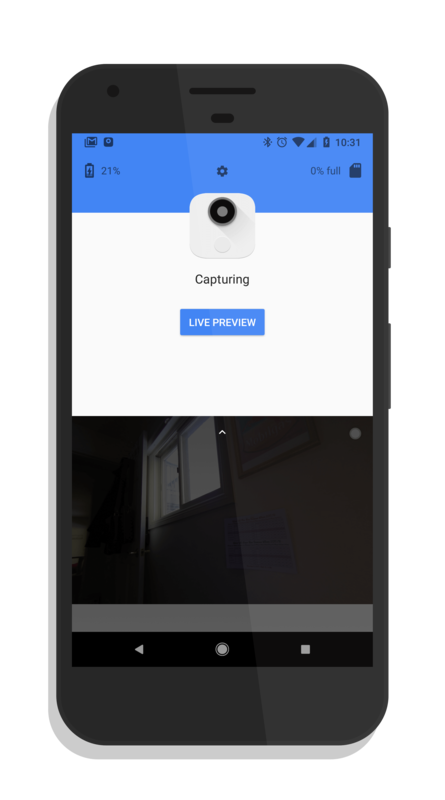 You don’t have to use the live preview – you can simply set the camera app and view things later – but it can be a nice feature, especially when you are spying on the cat, dog, or captures candid moments of your kids. The button on the front of the Clips device allows you to immediately capture something. Think of it as a shutter button. You can then go into the app and save it to your Photos to share later. I can’t emphasize enough how serious Google is on privacy with the Google Clips. Everything is stored on the device itself and it is only when you save it to your Google Photos account that it is actually saved outside of the device. Further, just like Photos itself, any thing captured with Clips is not shared unless you explicitly share it. 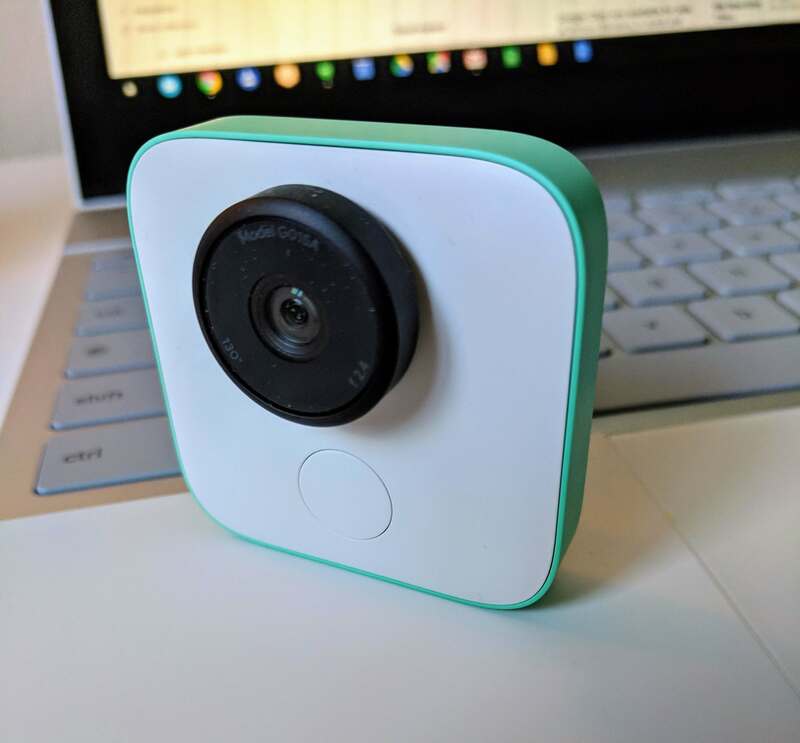 When you get your Google Clips, it will come with a clip sleeve which you can connect to things (think a child’s stroller or your backpack as you hike) but it also acts as a stand for the device while you are capturing a room of activity. It is made of a soft silicone and the clip itself is flexible to attach to just about anything. As for charging, as you would expect Clips comes with a USB-C port on the bottom of the unit. I’ve found it takes about an hour to full recharge the device. For those of you who have kids, especially young ones where you want to capture those candid moments, Google Clips is a must have for you. But even if you don’t have kids, like me, Clips is a handy way to capture candid moments with friends and family as well as capturing moments when you are outdoors. It’s not designed to be a GoPro, that’s not its target, but you can capture some great shots while on the go and you don’t really have to think about it. Google Clips is $249 and is in stock at the Google Store.